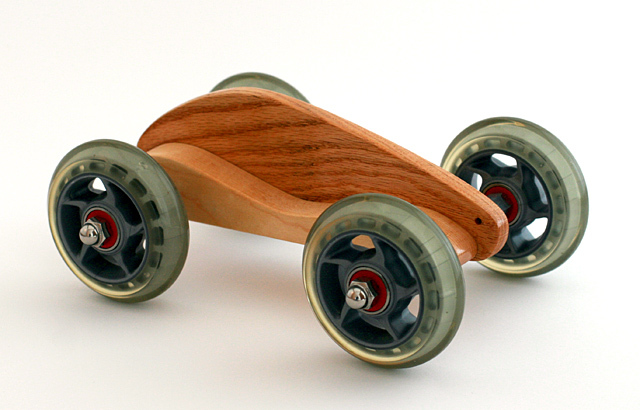 Hardwood Racers - BrainstormOverload - Small design studio. Big ideas. Nothing makes you nostalgic for childhood experiences like having a child. In response to all the brightly colored, battery powered imagination replacements currently choking toy stores I’ve started making some toys. This is the first in a planned series of three “Hardwood Racer” cars. Each car will be unique. 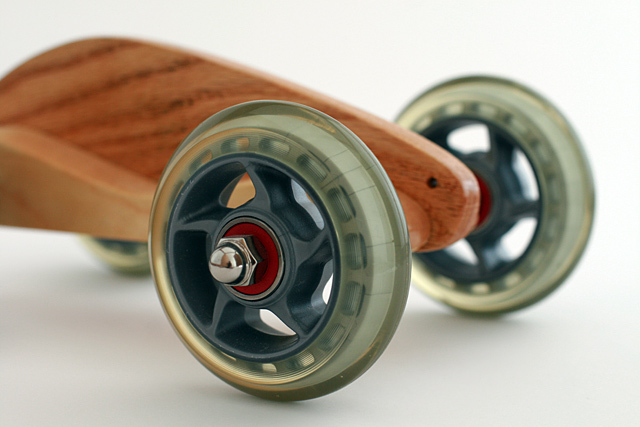 This one is red oak and maple with clear in-line skate wheels and bones bearings. Give it a push and it really flies so I made sure the body doesn’t protrude past the wheels in an effort to reduce the number of holes it puts in the walls. It also includes a small hole in the front so a string can be attached for pulling.